BMX sprocket is part connected with cranks and designed to drive your wheel. Our sprockets machined from 7075-T6 alloy for more strength and wear resistance. 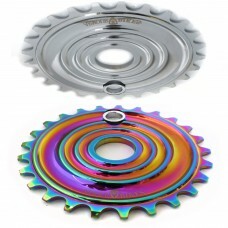 Our sprockets available in common black silver and oil slick colors.